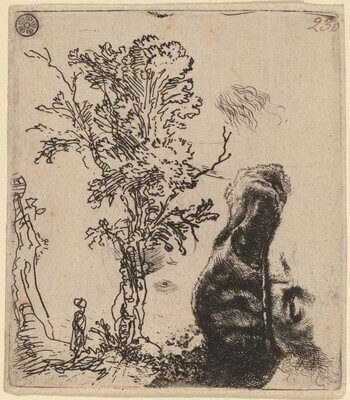 The Unfinished Print, National Gallery of Art, Washington, 2001, as Sheet with Two Studies: a Tree, and the Upper Part of the Head of the Artist. The New Hollstein Dutch & Flemish Etchings, Engravings and Woodcuts, 1450-1700. Rotterdam: Sound & Vision Interactive, 1993: no. 219, only.